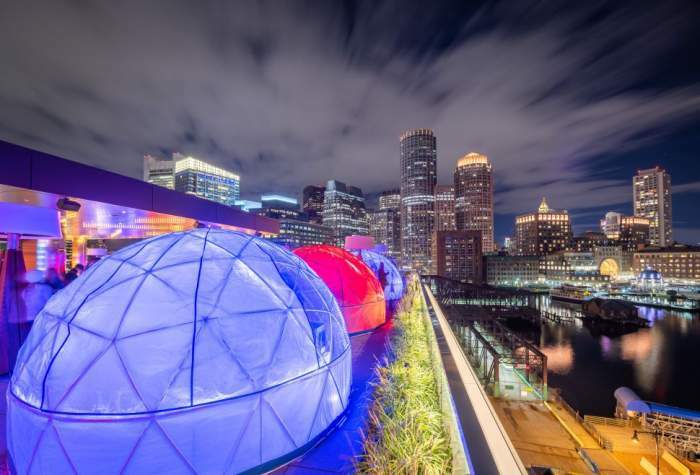 You Can't Step Yourself Back Going To Boston's New Rooftop Igloo Bar! 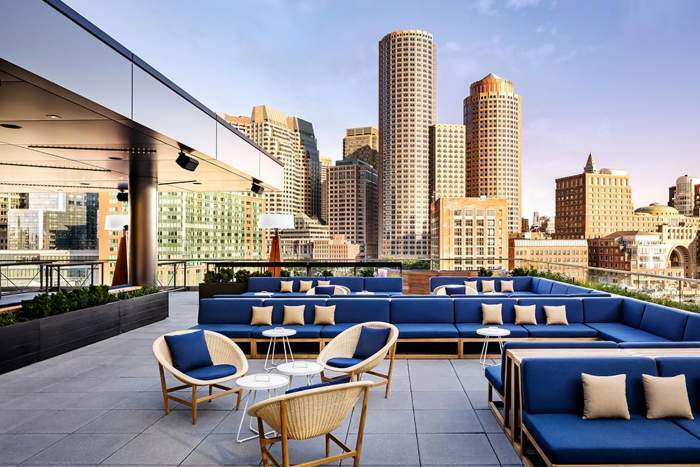 Home Interests Bars and Clubs You Can’t Step Yourself Back Going To Boston’s New Rooftop Igloo Bar! You Can’t Step Yourself Back Going To Boston’s New Rooftop Igloo Bar! You Can’t Step Yourself Back Going To Boston’s New Rooftop Igloo Bar! Boston is the largest city and capital of Massachusetts, and which is popularly known for its nightlife. There are many restaurants and bars in this city that bursts out with locals and tourists looking for a great time. There are some of the most elegant restaurants that are perfect for fine dining. 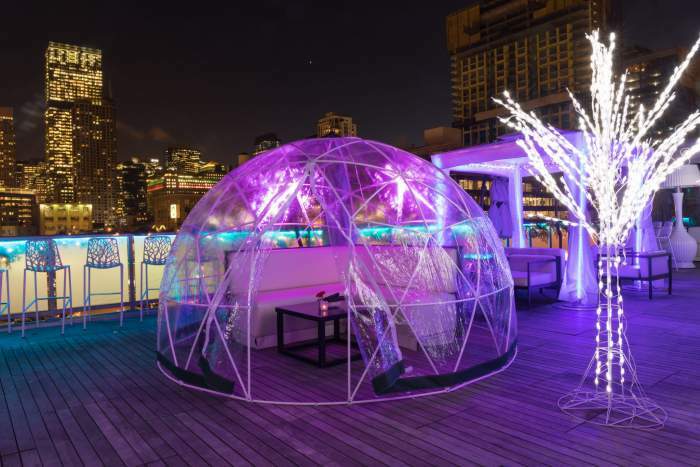 Out of all restaurants and bars, one which stands out is the Lookout Igloo Bar, Boston’s new rooftop igloo bar, which is the best place to spend good time with family and friends. It offers wonderful views of the city, which can be enjoyed in a unique dining setting. This new open bar in Boston has grabbed everyone’s attention. The Lookout Bar in Boston usually closes during the winter season and opens again in the spring season. From December to the month of March, Boston experiences extreme winter season, during that time the bar remains closed because of drastic weather conditions such as strong breezes and snow during the months of December and January. After March, Boston experiences lovely weather conditions with warm mornings and afternoons and chilly evenings, which are a perfect time to have your meal and party at the Lookout Igloo Bar in Boston. The Envoy Hotel proudly holds the most wonderful restaurants and bars in its premises, which are the Outlook Restaurant and the Lookout Bar. Both of them provides an undisputed environment which forces every visitor to come back here again and again. The restaurant and the Lookout rooftop and bar both bustles with tourists and locals on all days of the week and it’s the most famous place for food and party in Boston. Due to this, reservation is a must before your visit here. The Lookout Igloo Rooftop Rar in Boston stands unique and tall in the central city, with a finely detailed, classy settings that offer stunning picturesque sky view of the whole city. The extraordinary hotel is beautifully crowned by the bright igloos at the Lookout Bar. 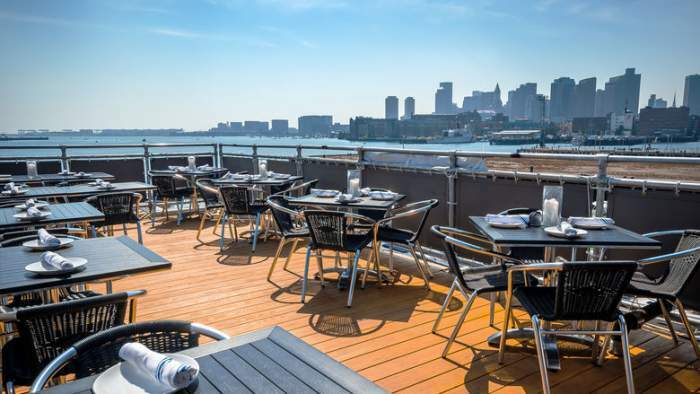 It’s one of the best rooftop restaurants in Boston and the spectacular views of Boston’s Harbor and Skyline from this out-of-the-world restaurant can’t be matched with any other restaurant in this region. Each igloo placed here is furnished with a comfortable seating arrangement with a glowing fire pit. During the cold evening, these artificial igloos also have a built-in heater in the ceiling. The snacks and meals served here by the highly applauded chef of the hotel, Chef Tatiana Pairot Rosana who is immensely talented and keep the goals to deliver the best-tasting delicacies to all the guests of the hotel. The tasty drinks served at this seaport Boston Bar never fails to impress visitors. Here are serves some of the best beverages including the finest wines, freshly brewed beer and other alcoholic and non-alcoholic drinks. Some of the must-try cocktails here include Cider Sangria, Teeling Frisky and Brian’s Barrel Aged. The menu also includes some large format cocktails that can be shared by four or more people, including Fish Bowl, 1950, and Upper West Side. Apart from these, there are many types of beer, vodka, rum, brandy, cognac, tequila, whiskey, bourbon, scotch, single malts, Irish whiskey, gin, cordials and much more, in the interesting menu of the Lookout Rooftop Igloo Bar. There are several events organized by the hotel on this rooftop bar such as Gala Nights, Dance parties, etc. which are surely worth to visit at least once. Guests staying at the Envoy Hotel get instant access to the Lookup Igloo Bar, and for others, it’s always better to make other reservations in advance. Whether it’s a birthday party, official party or a family get together, Lookout Igloo Bar at the rooftop of Envoy Hotel is a place to enjoy and experience a unique way of celebration. 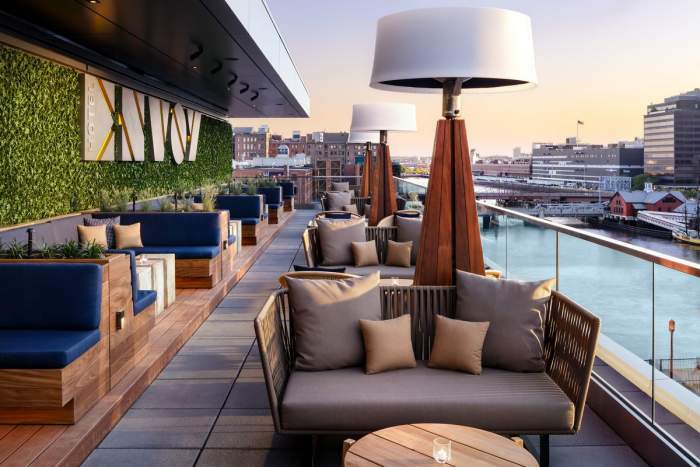 In addition to the immensely popular Lookout Igloo Rooftop Bar, Boston is also known for its many other interesting rooftop restaurants and bars. 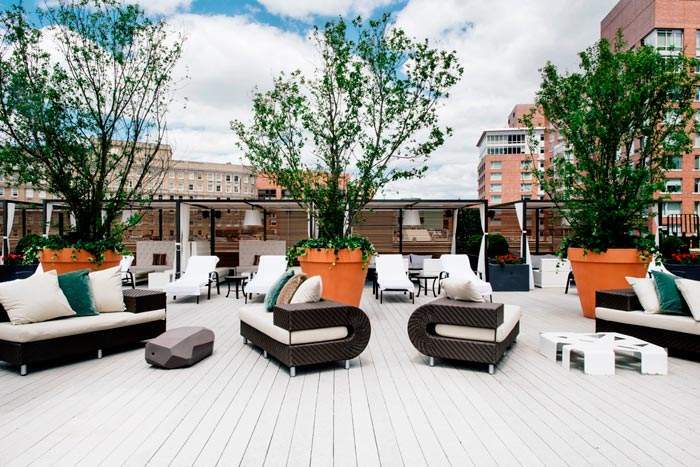 Some of the best rooftop bars in Boston are listed below. This is one of the best roof restaurants in Boston for all seafood lovers. This restaurant plus bar includes three floors, which offer panoramic views of the city. The restaurant’s topmost floor has a retractable glass roof and walls that make it accessible during any season. The Sushi Platter is the best of all the dishes served here and it should be tried by every visitor. The must-try dishes is the Harborside Tempura Lobster Roll and Legal Harborside Sangria. 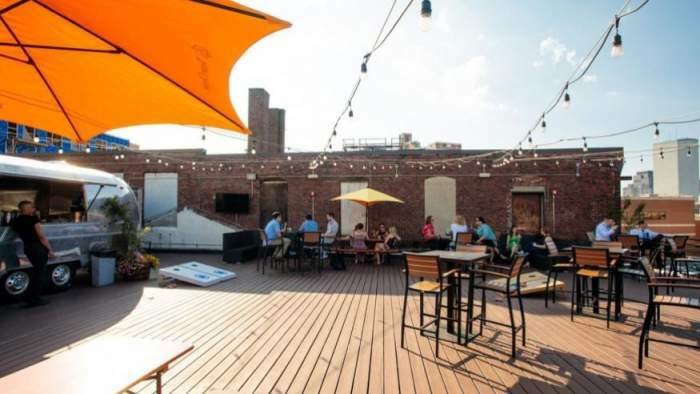 This is one of the famous rooftop bars among the local people of South Boston area to enjoy drinks and food in the United States. It is actually a warehouse converted into a bar and restaurants and the interiors still feature many food trucks that serve delicious snacks which go well with the variety of drinks here. The very must recipes to try here include South Carolina Pulled Pork Sandwich and Korean Short Ribs. 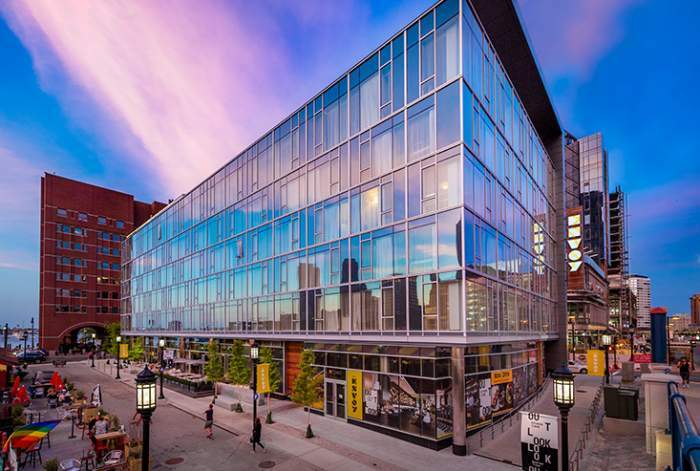 It’s the highest rooftop lounge in the seaport and is well-known for being open throughout the year for visitors. 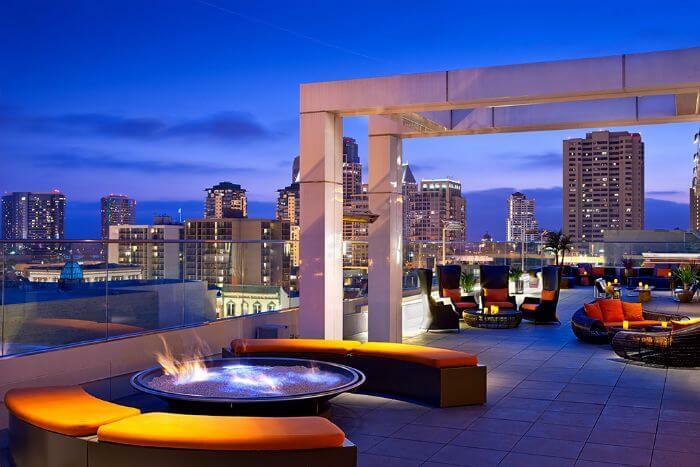 It stands tall and accommodates over 12 floors with the topmost floor is being famous rooftop lounge. 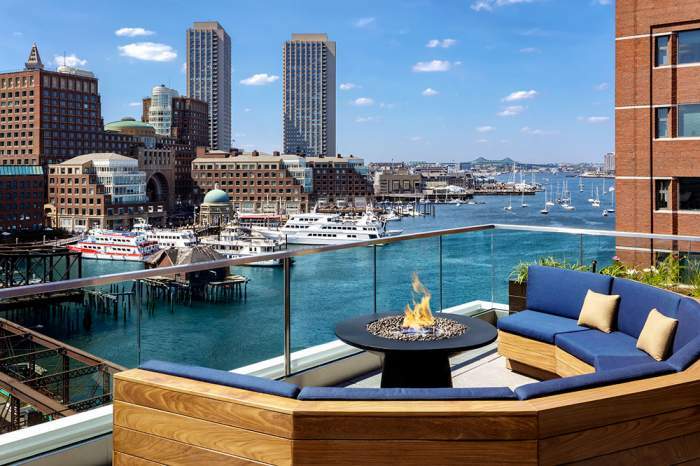 From this rooftop lounge, visitors enjoy panoramic views of Boston Harbor and the city’s skyline while dining on the lip-smacking dishes and refreshing drinks. Lounge’s menu includes interesting additions such as cocktails, wine, local beer, small bites, BBQ pork sliders, cheesesteak spring rolls, herbs ricotta flatbread and butternut squash. This luxurious rooftop bar and restaurant are located in Charleston along with the waterfront. Due to its ideal Where, the visitors can enjoy views of the astonishing city while enjoying mouth-watering dishes served here. This restaurant is known for its delicious seafood and brunch buffet. The restaurant’s rooftop deck place is the best place to enjoy a good dining experience. The recipes which are must try for dinner include Lobster Roll and Pier 6 Bolognese. It is an outdoor rooftop bar and restaurant, which is one of the trendiest and well-known spots during the summer season. From here, guests can enjoy the view of Boston’s Back Bay neighborhood while admiring the delicious savory and beverages served here. During the day, guests can lounge in the indoor swimming pools which are heated or they have the luxury to relax in cabanas and couches. The lobster roll served here is a favorite dish among the regular visitors. This rooftop restaurant is open only during hot months and is closed during the winter season. Previous articlePamukkale, Turkey In December Is A True Paradise On Earth! Next article10 Best Places For Rock Climbing In Israel That You Must Go For! Men Are You Listening? These 5 Places are Just Heaven For Men! 13 Top places for beer lovers in the world and enjoy saying CHEERS!